WASHINGTON (JTA) – He hates it, he really hates it. Now what’s he going to do about it? President Donald Trump on Tuesday culminated three weeks of missed opportunities to condemn anti-Semitism and doubling down on missed opportunities to condemn anti-Semitism with a statement unequivocally condemning anti-Semitism. “The anti-Semitic threats targeting our Jewish community at community centers are horrible and are painful and a very sad reminder of the work that still must be done to root out hate and prejudice and evil,” Trump said Tuesday after touring the National Museum of African American History and Culture. Message back from a Jewish community longing to hear these words: Great. Now how do you plan on dealing with the problem? Greenblatt’s “whaddya got” posture pervaded the organized Jewish community. 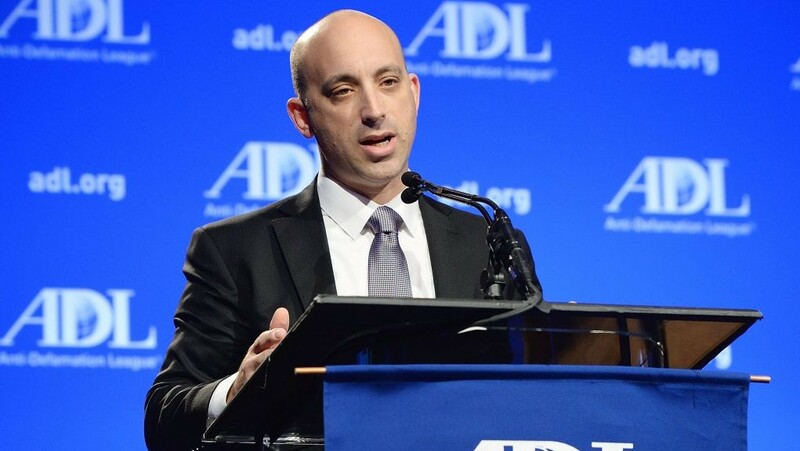 David Harris, the American Jewish Committee CEO, explained why Jewish groups that might otherwise have welcomed a simple statement of intent to combat anti-Semitism were sounding a more skeptical tone. “To date, the administration’s response has been disappointing, to say the least,” Harris said in an email to JTA. “We’ve only just reached the stage today — thankfully, if belatedly — of hearing President Trump acknowledge the issue and call it by its rightful name — anti-Semitism,” he said. The Jewish community has been grappling with how the new president deals with anti-Semitism since Jan. 27, when the White House marked International Holocaust Remembrance Day with a statement that noted “victims, survivors, heroes of the Holocaust,” but did not mention the Jews. What at first seemed like an oversight soon calcified into suspicion that it was part of a worldview, as White House officials doubled down on the omission, condescending to explain to their critics that one must be inclusive in marking an event that uniquely targeted Jews for elimination. Officials calling critics of the statement “asinine” and “pathetic” didn’t help, nor did the revelation that a bid by the State Department to mention Jews in a statement was rebuffed by the White House. Fueling suspicion that there was more to the omissions than clumsy oversight was the presence on Trump’s staff of top advisers like Stephen Bannon, Stephen Miller and Sebastian Gorka, who emerged from a political culture of European-style nationalism that rejects what it terms “identity politics” and argues that minority complaints about discrimination are overstated. 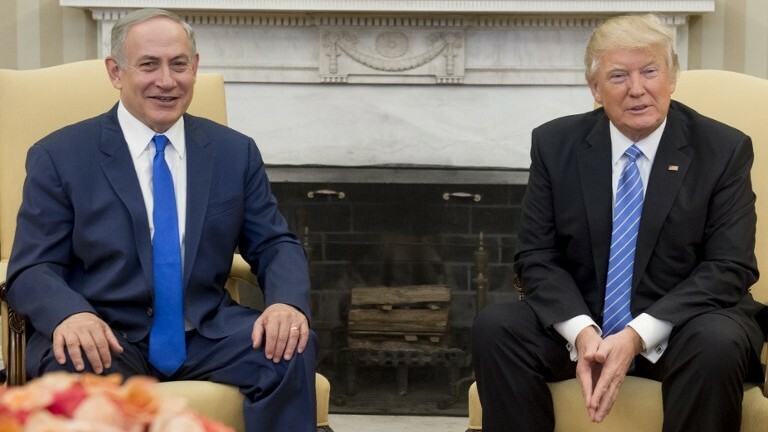 The White House visit last week by Israeli Prime Minister Benjamin Netanyahu presented an opportunity to make amends, and at first it seemed Trump was game. So there it was: “genocide” and “Jewish people” adjacent. All was good. An Israeli reporter asked Trump about the spike in anti-Semitic incidents in the United States, and whether the president believed it had anything to do with Trump’s rhetoric. 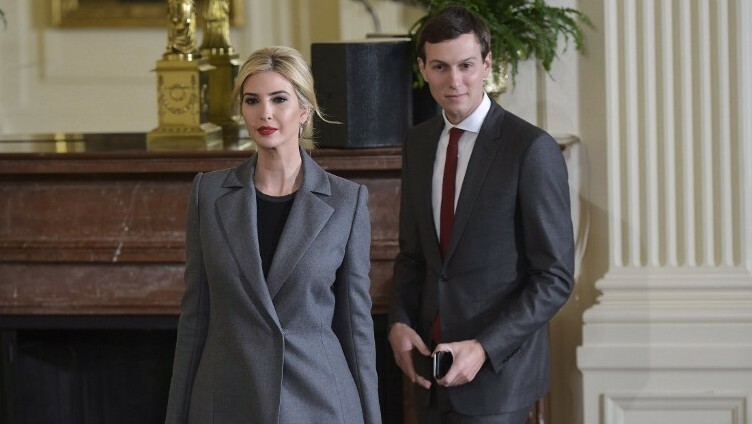 Trump replied by noting the breadth of his Electoral College victory over Hillary Clinton and a statement expressing love for his Jewish daughter, Ivanka; her husband, Jared Kushner, and their children. It became weirder the next day at a news conference when a friendly reporter, Jake Turx from the haredi Orthodox Ami magazine, reassured Trump that no one in his community thought the president was an anti-Semite. Turx proceeded to ask what Trump was planning to do about the waves of bomb threats against Jewish community centers that have severely disrupted Jewish life in North America. Trump would not allow Turx to complete his question and launched a broadside against the baffled reporter and anyone else who suggested that he was anti-Semitic. Trump called Turx “a liar” and said he hated the question. What turned Trump and led to his statement Tuesday morning? His spokesman, Sean Spicer, would not say, except that Trump thought a tour of the African-American museum was an appropriate occasion to expound against hate and discrimination. Trump’s remarks were prepared. 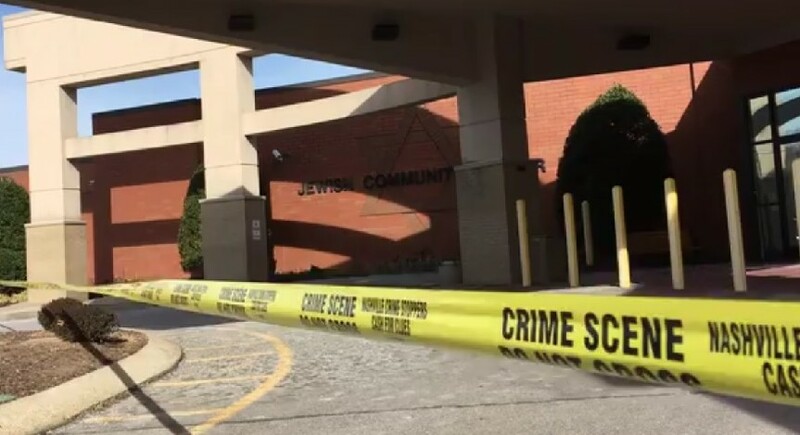 Two precipitating factors may have been the fourth wave of bomb threats on Monday against JCCs, coupled with massive vandalism at a St. Louis-area Jewish cemetery. The White House may have wanted to head off a new round of criticism that it was ignoring anti-Semitism, especially as Jewish groups were heading to Twitter with impatient calls for a strong denunciation from the president. Trump’s erstwhile targets also sensed an opportunity to hit back: Clinton, who infrequently pronounces on issues of the day – and has been oblique when she does pronounce – directly challenged Trump on Twitter to speak out. Muslim groups, targeted by Trump’s rhetoric, raised funds for a reward for the perpetrator of the threat and to repair the toppled headstones at the cemetery. Calls by Jewish groups for actual plans, and not statements, were not the only sign that Trump’s remarks were unlikely to allay tensions. 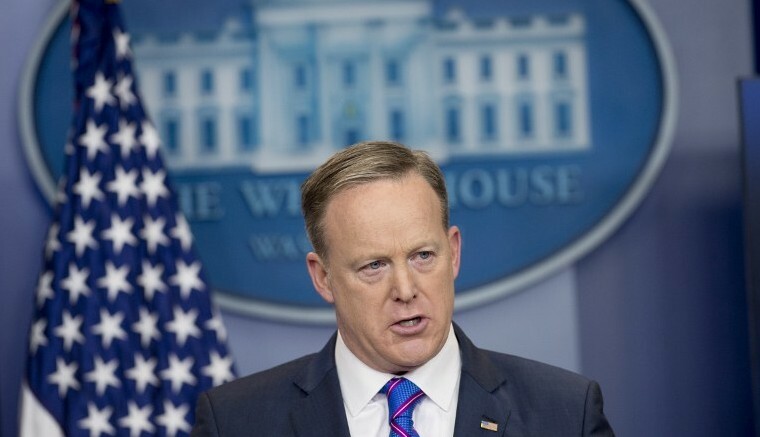 Spicer opened his briefing with reporters on Tuesday by repeating Trump’s words, and delivering an impassioned plea for Americans to visit the African-American museum and its National Mall companion, the US Holocaust Memorial Museum. He then turned combative. Trump’s Democratic critics weren’t letting go either. Rep. Keith Ellison, D-Minnesota, running for the chairmanship of the Democratic National Committee, peppered his Twitter feed with follow-up questions for Trump. Rep. Joe Crowley, D-New York, whose bid earlier this month to force a vote on his resolution emphasizing that the Holocaust targeted the Jews was blocked by Republicans, said Trump needed to be more consistent in his condemnations. “Trump’s statement is long overdue and doesn’t begin to scratch the surface of what needs to be done,” he said in a statement.